Nitish Kumar from Nawada, B.E. - B.Tech Graduate. 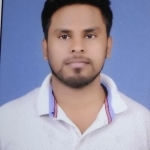 Nitish Kumar is Petroleum Engineer and currently have no work experience. TEAM HANDLING RESERVOIR ENGINEERIN.. DRILLING ENGINEERIN.. PRODUCTION ENGINEERI.. DEADLINE ORIENTED DECISION MAKING AND ..
are one of expert skill area's of Nitish Kumar . Nitish Kumar is working in Oil & Gas industry.